We had a great time recently hosting our friends from the North Oconee Titan Regiment! Looking for a delicious, simple and fun fundraising event? 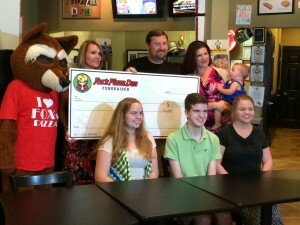 Let Fox’s Pizza help raise money for your school or organization. We currently host several percentage nights for many area churches, schools and other non-profits throughout the month and have helped to raise thousands of dollars for our community. 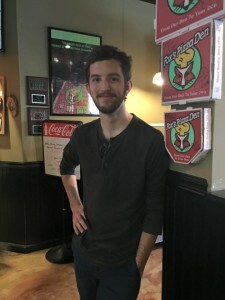 Once you reserve a night at Fox’s Pizza, simply tell everyone to mention your organization’s name when ordering, and a percentage of participating sales will go to your cause. How easy is that? To schedule a night for your fundraiser at Fox’s, call (678) 661-0220. 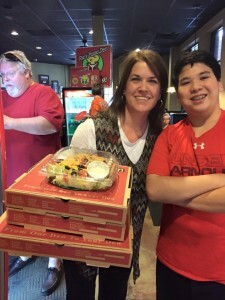 We have additional fundraiser options that may work for you as well, from your group selling pizzas to the community to selling Fox’s pizzas at your location. 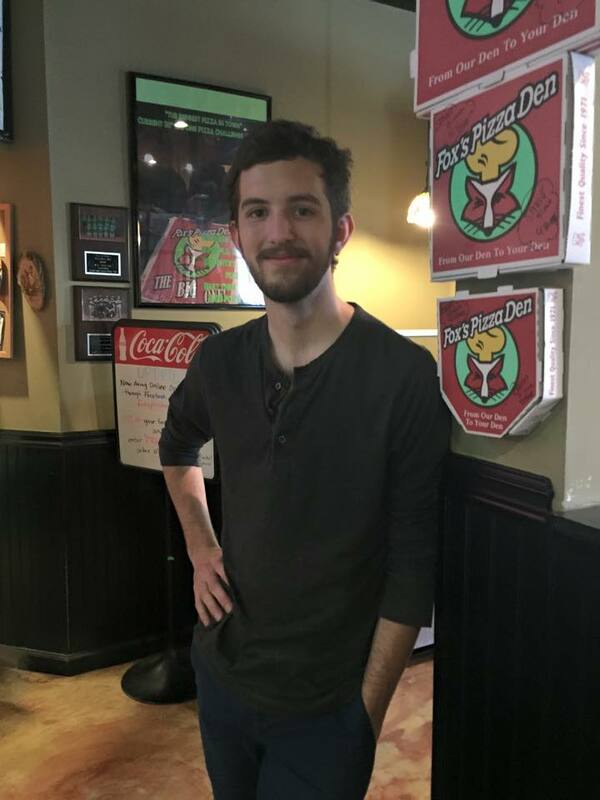 We even have a fundraiser 30″ “Biggest Pizza in Town” challenge! Get details on this fun new concept at our 30″ Big One pizza page. We also have exclusive pricing for groups desiring to sell pizzas in your concession stand or event. We hope to speak with you soon! 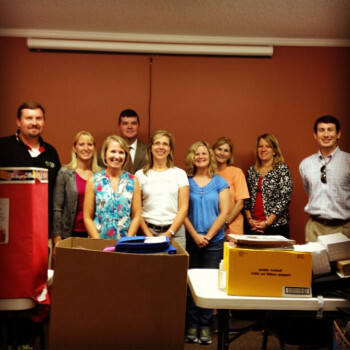 Fox’s is happy to help organize the 2014 Oconee school supply drive, to benefit students in need at area schools! We need your help. Between now and August 5th, simply purchase new school supplies and drop them off at Fox’s in the school supply donation bin. We will gather all donations and present them to Oconee schools just before school starts. See the links below for a list of most needed items by school! Interested in volunteering to be a liaison to a school? We’d love your help! Call 678-661-0220 or e-mail david@foxspizzaoconee.com . Looking for additional donation drop off locations? You can now drop off donations at Athens First Bank at Epps Bridge, Butlers Crossing or downtown Watkinsville, Dunkin Donuts at Butlers Crossing and the Oconee County Chamber of Commerce. Thanks to these wonderful community partners! Additionally, make plans to bring school supplies to donate to Fox’s on Saturday, July 26th from 4-5pm. Your school supply donation will get you access to our exclusive What do the Animals Eat presentation from our friends at Bear Hollow Zoo, including some live friends! Additionally, you’ll be able to participate in our Junior Pizzaiola program, where you will have the chance to prepare and bake your very own 7″ Fox’s Pizza! Please help us exceed last year’s donation, and spread the word about this fun community event! 2014 Mustang expo fundraiser a huge success! What a great day! Be sure and take a few minutes to enjoy the video highlights above, set to the original song “At the BonFire” by local Oconee artist Patrick Britt Music! The inaugural 2014 Mustang Expo fundraiser was a huge success! Special thanks to all the local businesses that helped make this happen, and to everyone that came out to support the Chris Hein Recovery Fund. 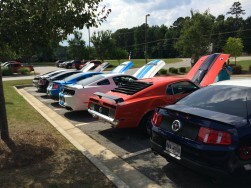 We had about 20 Mustangs participate this year, and really enjoyed catching up with regulars, while meeting new friends! In case you missed it, you can see more photos from the event in our event photo gallery! Thanks to the support of community and a combined effort by local businesses, we hope to be able to finish strong and raise over $1,000! Premier Jewelry and Mary Kay fundraisers are about to wrap up Friday, June 27th, but you can still participate by making purchases to support the Heins! Click the previous highlighted links for more information. Visit Chris’ fundraiser page to donate anytime as well! Fox’s Pizza Online Ordering is Here! 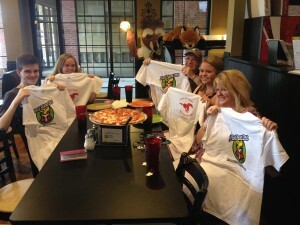 You’ve asked for it… Fox’s Pizza of Athens and Oconee GA now offers online ordering! Browse all your Fox’s favorites, from gourmet pizza to calzones, salads, subs and more. Customize your pizza just the way you like it. Exclusive features like half and half pizzas are also available. This is also a great way to check out current coupons and deals directly from the online ordering page! Additionally, to simplify future orders, create an account and you’ll even have the option to easily repeat your next order! For a limited time, as a first time online ordering customer, receive 10% off your first online order! Plus, enter code FREECINN to receive a FREE order of cinnamon sticks with any large pizza purchase when ordering online. You can order online via the link at the top right hand corner of our home page, or simply click here to start your order! 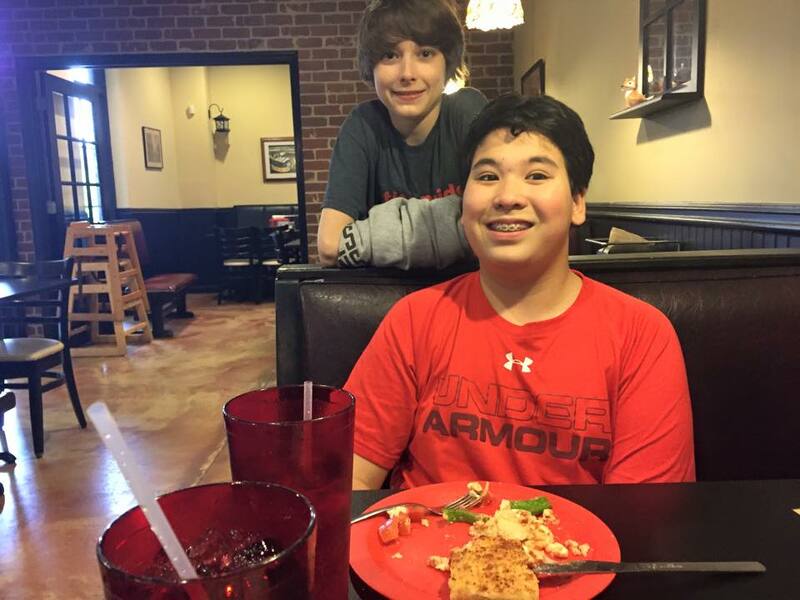 Pump it Up Summer Camps, Including Fox’s Pizza! Need a fun way to entertain the kids over the Summer? Check out Pump it Up’s Summer camp schedule, including Fox’s Pizza! Pump it Up is offering a variety of fun camp events throughout the Summer. This is also a great place to host your next birthday party or other event. As the pizza provider to Pump it Up, Fox’s will bring you delicious Fox’s favorites to your next Pump it Up event. Contact them for more information today! June 9th-13th – Join our friend Beth West for her Arts & Crafts camp! Lunch and art activities are included!